Genetically modified crops have been the subject of considerable controversy for many years. Some of the concerns people have stem from legitimate worries, others are based in misconceptions and rumours. The very idea has become so threatening to some that even small test GM crops planted only for research purposes only have to be guarded in secrecy for fear of attack and destruction by well-intentioned but often misinformed people. 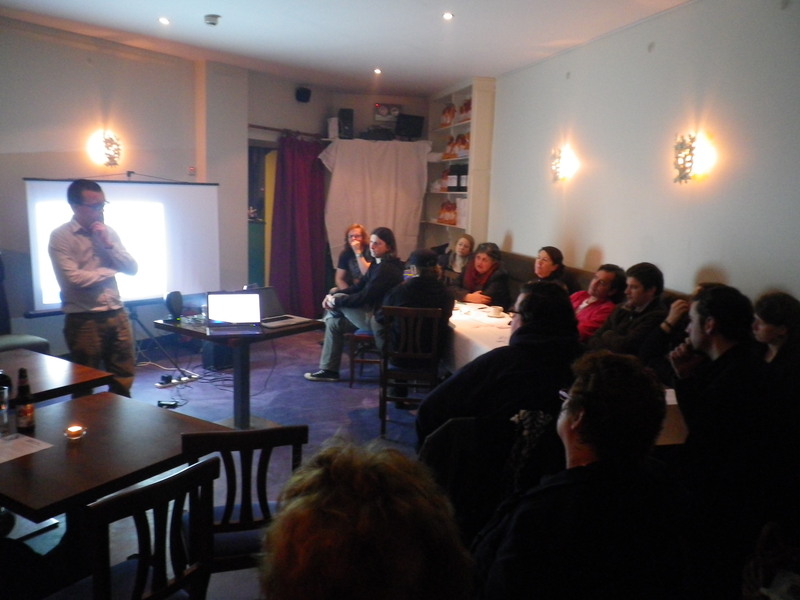 After a very thoroughly researched, balanced and well-presented talk by Eoin Lettice on Friday night, the controversy is far from resolved; although the audience can certainly claim to be far better informed than we were previously. It is always frustrating and fascinating to explore a subject that cannot be conclusively pigeonholed into a Good for Humans / Good for the Planet category, and the evening raised as many new questions as it answered old ones. 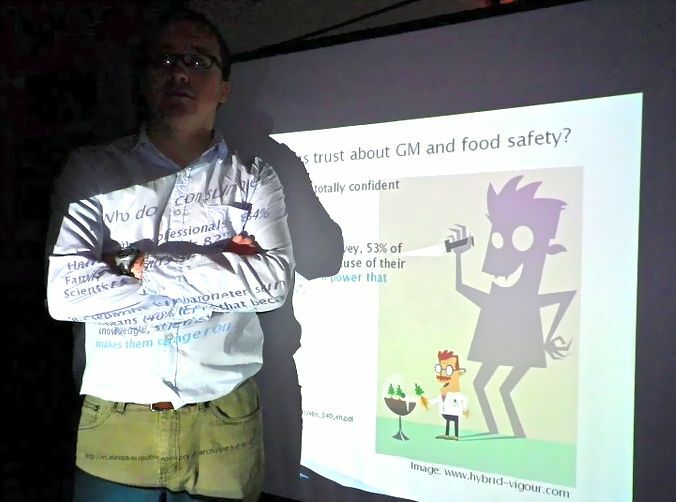 In his talk, Eoin took pains to emphasise that GM crops were not a panacea to the world’s food problems, but that they could play a beneficial role in certain circumstances. He described the methods by which new genes can be inserted into existing DNA and how marker genes are used to distinguish between modified and unmodified cells (luminous green potatoes, anyone?). A lot of the focus on GM has been on yield improvement, something that fails to resonate with consumers, although research indicates that if consumer uses could be found for such crops (a putative cure for cancer, for instance), that this might have a significant effect on public perception. Progress in genetic modification has been affected by political considerations, particularly in Europe, where there has been a moratorium on research until quite recently. It has been proposed to allow the different states of the EU to decide for themselves how they want to address the issue – an unsustainable position according to Eoin. Questions from the floor included concerns over multinational influence over the framing of legislation (esp. Monsanto); concerns over leakage of herbicide resistance into other crops; concerns over biodiversity and the deliberate sterility of some crops which meant that farmers would be forced to buy seeds every year from the manufacturers. Eoin pointed out that in many cases similar issues existed with non-GM crops and that this was an issue for farming generally and not just for GM alone. Eoin’s talk was presented with passion and the subject was presented very clearly. The discussion was lively with some valuable commentary from the floor. Clearly, this is an issue that is far from being resolved. You can view more photos from the night on our Facebook page. 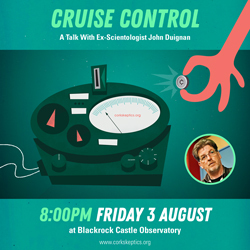 Categories: Events, Skeptics In The Castle | Tags: Agriculture, cork skeptics, Eoin Lettice, fluorescent green monkeys, Food, Genetically Modified Crops, GM Crops, politics, potato, science, SITP, skepticism, UCC | Permalink.